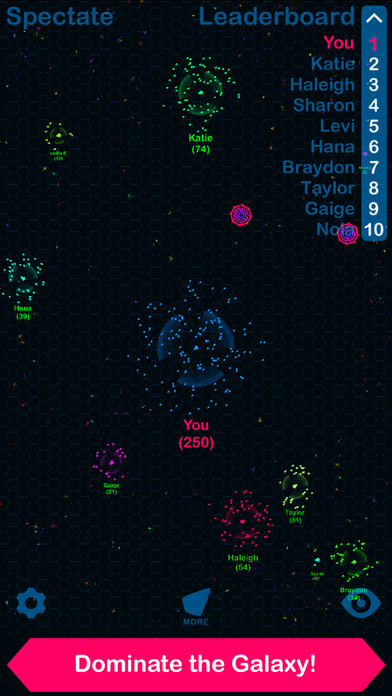 Home #WOW Galaxy Wars Multiplayer – Got 10 minutes to dominate the galaxy? 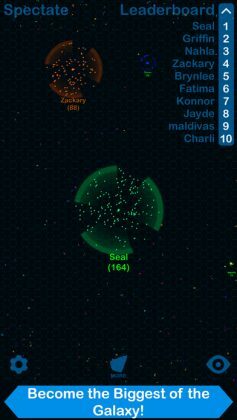 Galaxy Wars Multiplayer – Got 10 minutes to dominate the galaxy? Are you a devoted (.io) game fan? We are! 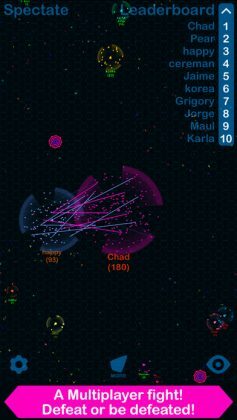 Mostly featuring gameplay systems that allow users to battle it out with players from all over the globe in real time, (.io) games are some of the most addictive games the web has to offer. 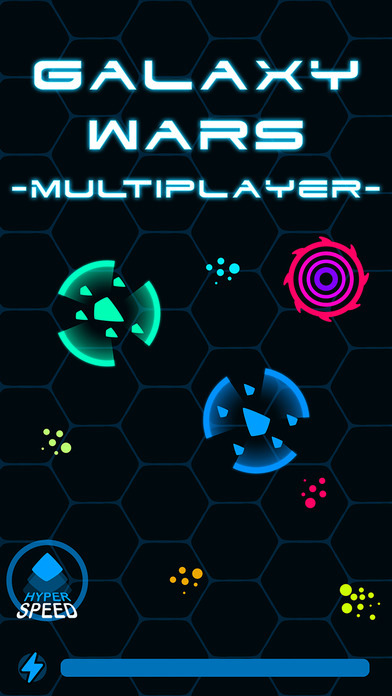 Galaxy Wars Multiplayer is a new game for your smartphone that isn’t exactly an (.io) game but has pretty much all the qualities of an (.io) game, like mediocre graphics, and extremely competitive bloodthirsty opponents that will stop at nothing to utterly destroy you on your first try… Perhaps we’ve been playing diep.io a little too much lately…? 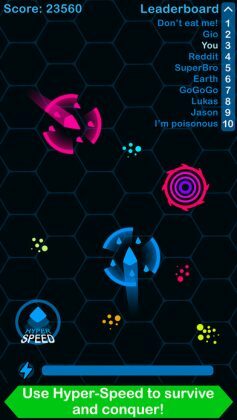 Set on a map that strongly resembles slither.io your mission in this game is to collect clouds of floating “space dust” in order to expand your fleet and essentially become the ruler of the galaxy! A little like in agar.io if you collide with a fleet larger than your own, chances are you’ll die and GAME OVER. 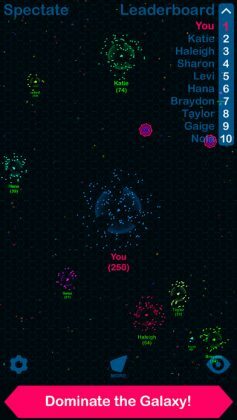 But, unlike in agar.io there is still a chance that you can get away depending on how skillful you are at boosting away from dangerous situations. 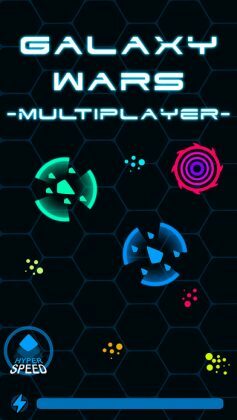 With pretty standard level graphics, plenty of players to battle against, and hopefully much more to come, Galaxy Wars Multiplayer is a game we’d recommend to anyone aspiring to one day rule the galaxy.